Last year, 2015 was deemed by Entrepreneur Magazine “Year of the Hearables.” In the past decade, hearing technology has come a long way, often mirroring advancements in digital technology. Now, hearing aids have the capability to connect wirelessly with our smartphones, through Bluetooth and downloadable apps. Hearing aid manufacturers have equipped their devices with a host of features, some of which are activated through wireless connection. Whether they offer an extra boost of sound amplification or stream your favorite music to your ears, wireless hearing aids have opened up a world of accessibility for hearing aid wearers. 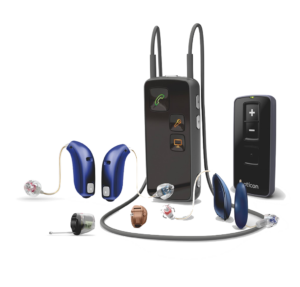 Below are some of the wireless hearing aids we offer here at HearCare Rhode Island. OPN, pronounced “open,” is Oticon’s newest hearing aid. With wireless capabilities, OPN may be connected to your smartphone with TwinLink technology, which provides two wireless systems in one. TwinLink utilizes near-field magnetic communication (NFMI) to provide wearers with excellent sound quality. It also utilizes Bluetooth connection to smartphones, which allows wearers to stream their phone calls, music, and other media directly to their OPN hearing aids. Additionally, OPN is officially the world’s first hearing aid with direct Internet connection. OPN connects to If This Then That (IFTTT.com), a web service that archives countless sounds we experience in everyday life. This archive supports OPN’s features in clarifying sounds for wearers. Aside from these wireless features, OPN has been proven to reduce listening effort by 20% in noisy environments. With sound clarity, OPN frees up the brain from filling in gaps in sound signals. This allows OPN wearers to remember 20% more in challenging noise environments. and improves speech understanding 30% more than previous Oticon models. Powered by the Velox Processing Platform, OPN is ground-breaking in that it provides an “open sound” solution. Rather than eliminating background noise, OPN provides wearers with a broader picture of sound in their environment, allowing them to choose where to focus. OPN is available in a discreet, mini receiver-in-canal style. Learn more about Oticon OPN. Primax is the first hearing aid from Signia, building on the foundation of its sister brand, Siemens. Primax offers TwinPhone, a feature that utilizes a wireless, magnetic connection to the wearer’s smartphone. Primax wearers are now able to stream conversations directly to their hearing aids, which reduces listening effort and prevents feedback noise that could occur when you place a phone near your hearing aids. 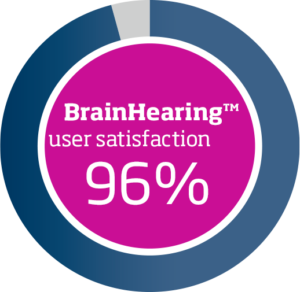 Primax hearing aids wearers may use the touchControl app or the easyTek app to control their listening experience. Primax also uses wireless technology to address single-sided hearing loss. 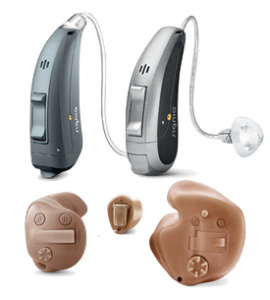 Primax CROS and BiCROS hearing aids use e2e wireless technology to share and mix sounds picked up from the hearing aid side to the unaided ear. Primax is built upon the foundations of the Siemens binax (the first hearing aid to outperform normal hearing in challenging noise situations), and has been proven to reduce listening effort throughout the day. For music lovers, Primax offers HD Music, a feature uncommon in traditional hearing aids. Primax offers features to improve speech recognition, eliminate background noise, and improve directionality. Primax hearing aids are available in receiver-in-canal, behind-the-ear, or in-the-ear wearing styles. They are available in 7px, 5px, and 3px performance levels. Styles include: Ace Primax, Pure Primax (receiver-in-canal), Motion Primax (behind-the-ear), and Insio Primax (in-the-ear). Learn more about Signia Primax.